Here’s the thing, anyone can put a faux country twang in the voice, strum an acoustic, and pretend to be the hipster Woody Guthrie. It’s been done and is still being done(I can hear someone doing it right outside my window.) But Owen Yonce comes across as someone far more interested in making honest-to-God art through music. He leaves empty spaces in-between the notes. He lets the songs breathe and expand as they leave the speakers. Listening to College I hear a guy with a sense of humor, an ear for melody, and a old soul writing though a young-ish dude. Around these parts we call that kind of songwriter the “real deal”. You can’t write songs like “To The Light”, “You Haven’t Got to Leave”, and “Wanting You” without possessing that essence of the true artist. Proof? Just hit play on College and see for yourself. 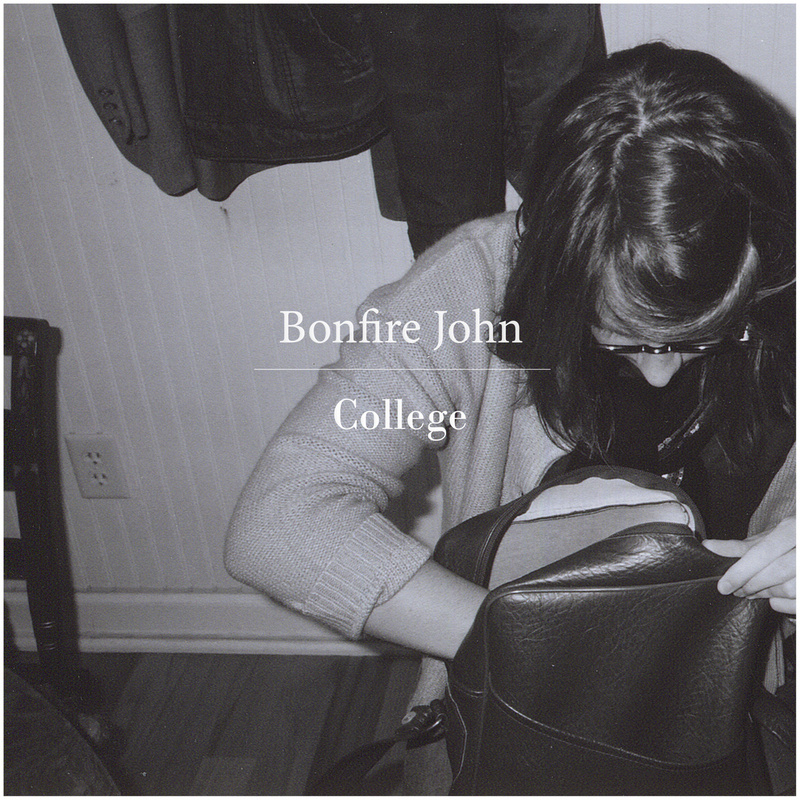 There’s so many artists Bonfire John’s College puts me in mind of; Pavement, Old 97s, Wilco, Son Volt, and even a drunken, lo-fi Jayhawks at times. But give Owen Yonce and Bonfire John one more album and it’s simply gonna sound like Bonfire John. College is a hell of a record. Call me shallow but I really rather like the LP cover. I love the LP cover as well. Gotta classic feel to it. A bit like Beirut – you have anything of theirs/his at all? I do not, but I think I should.